The last time we saw toy soldiers, Monster.com was urging us all to find new jobs. This time, the toy soldier promotion isn’t playing around. This package of what looks like soldiers was sent to UNICEF supporters and potential corporate sponsors. The “soldiers,” however, aren’t really soldiers at all. 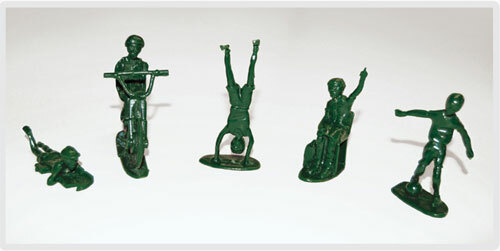 Each one of the figurines is actually a child doing things like riding a bike, reading a book, playing soccer, and other childhood activities. The message is that there are too many children being forced into combat in developing countries, especially on the African continent. This powerful promotion does a good job of raising awareness about the situation. Predictions 2008: Cause of the Year?